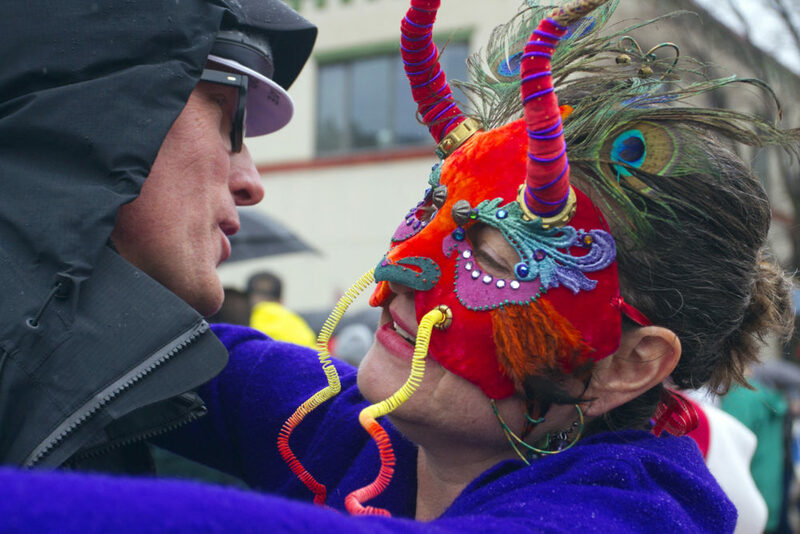 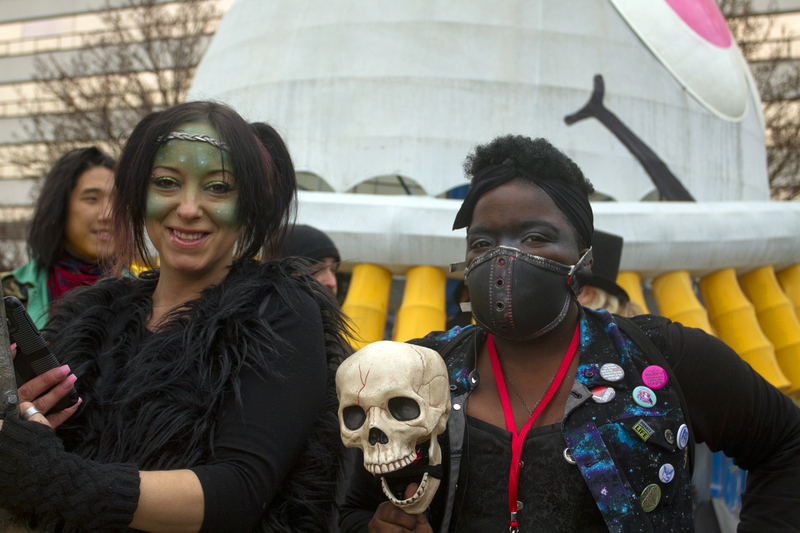 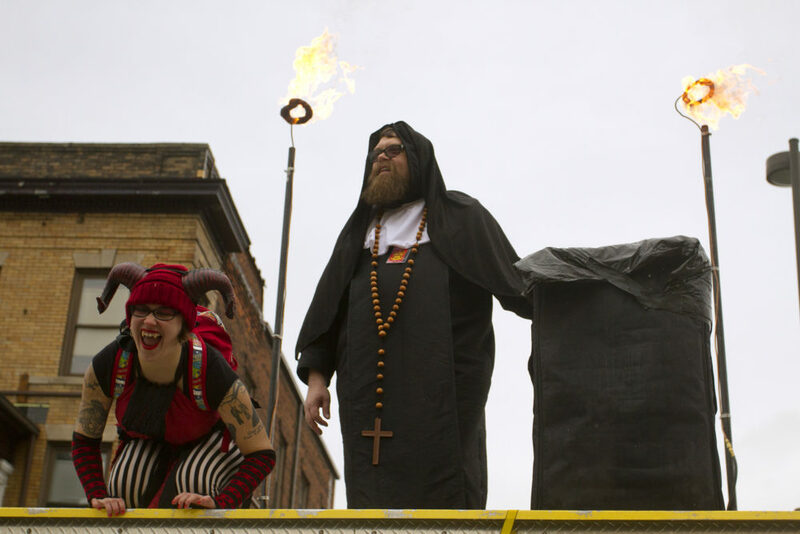 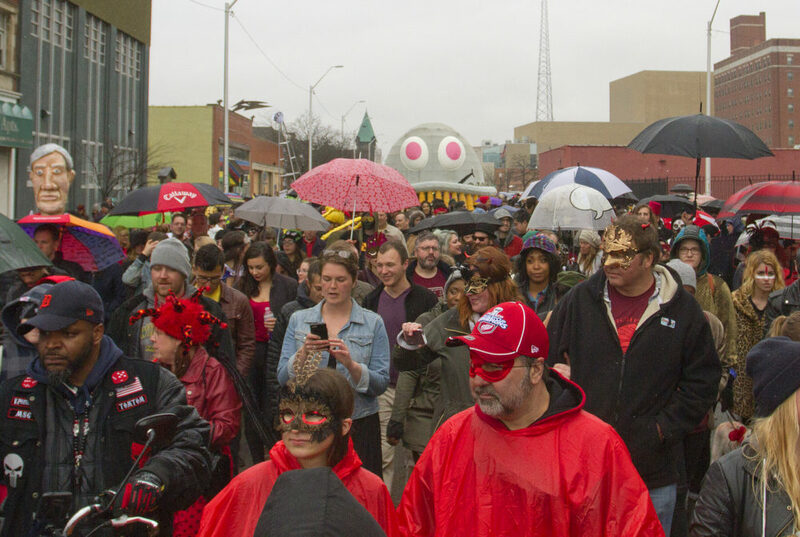 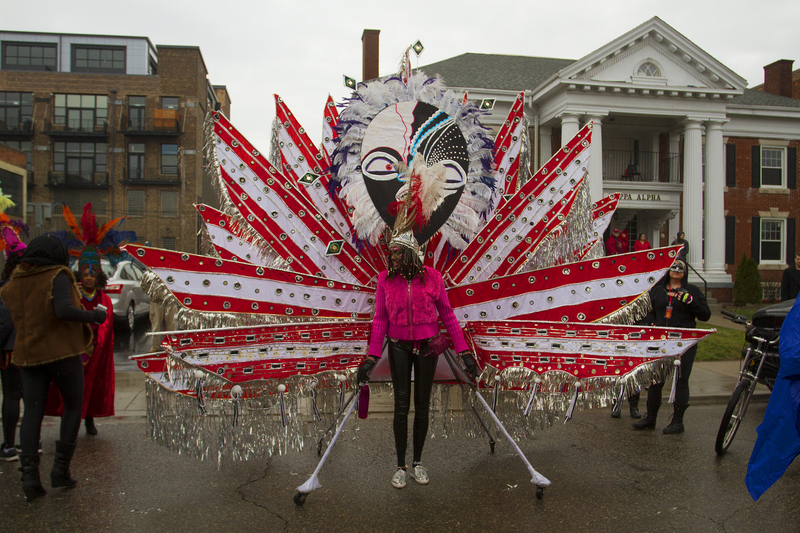 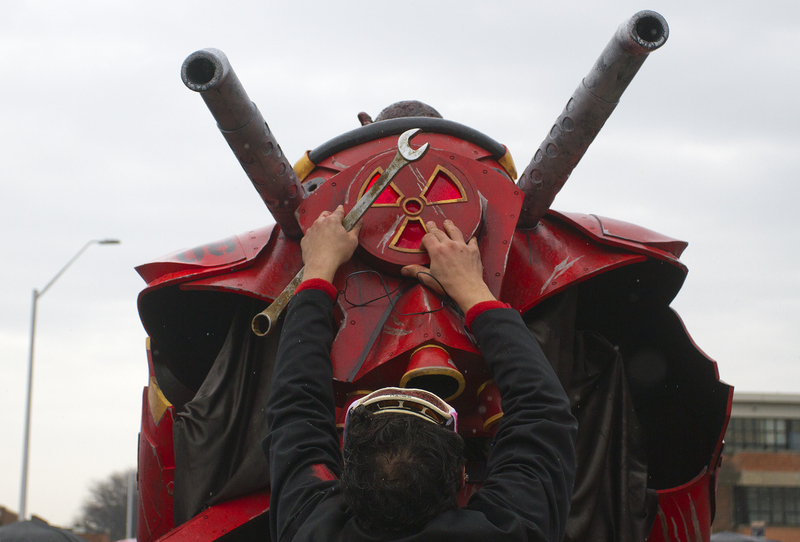 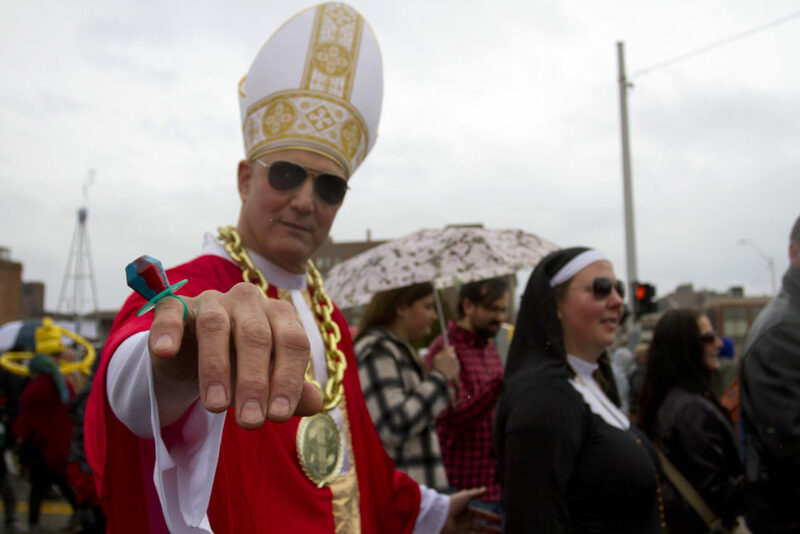 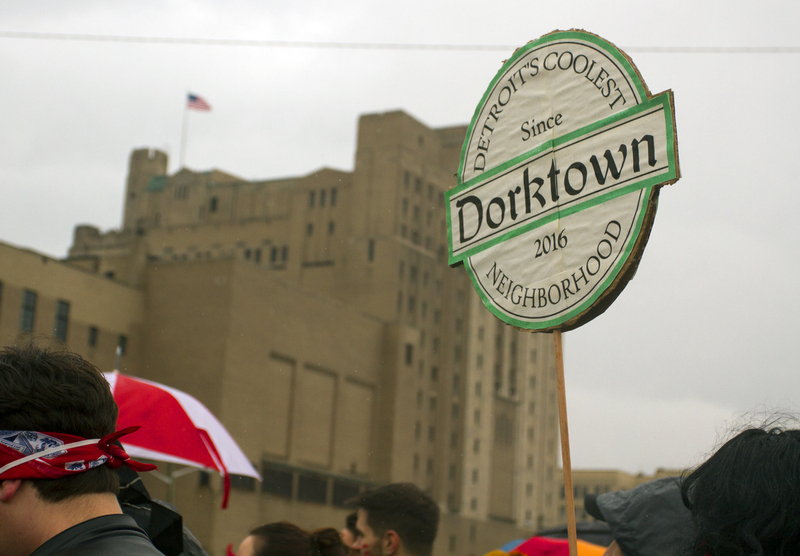 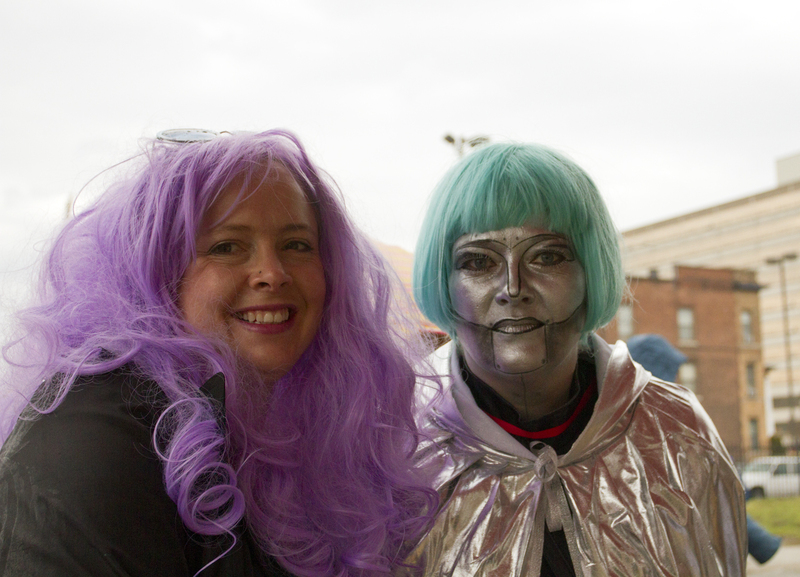 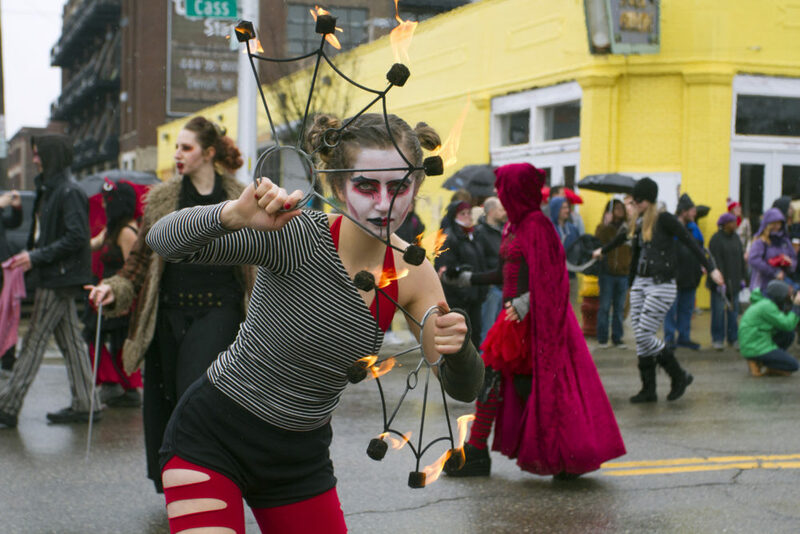 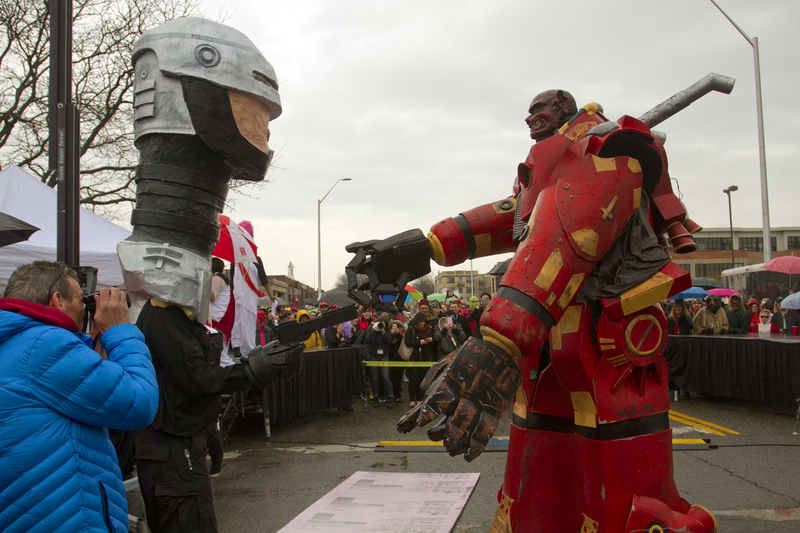 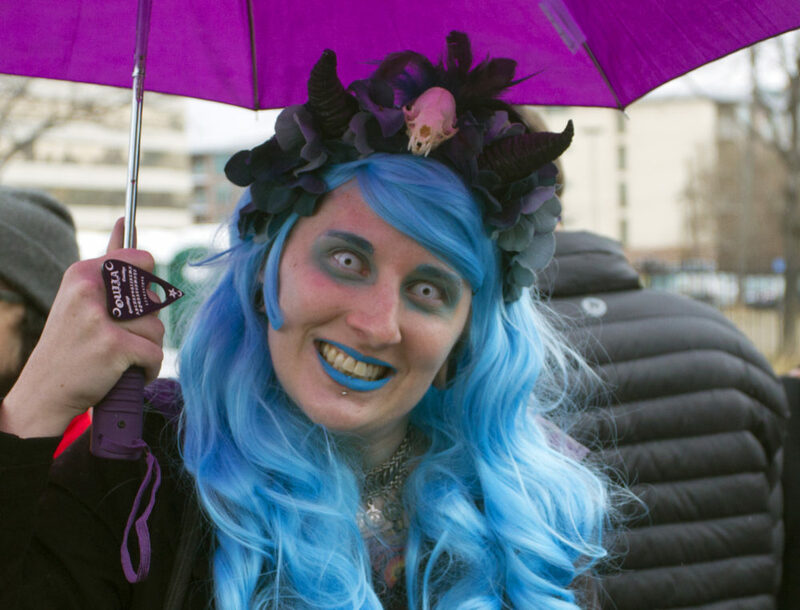 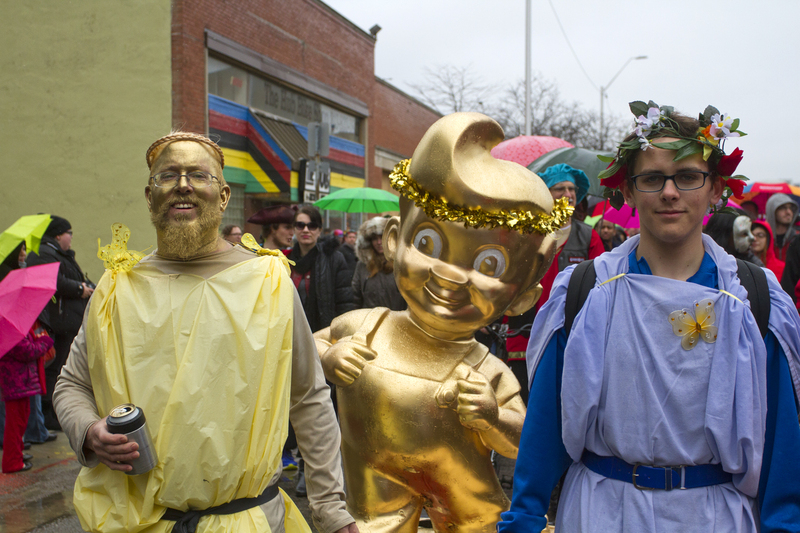 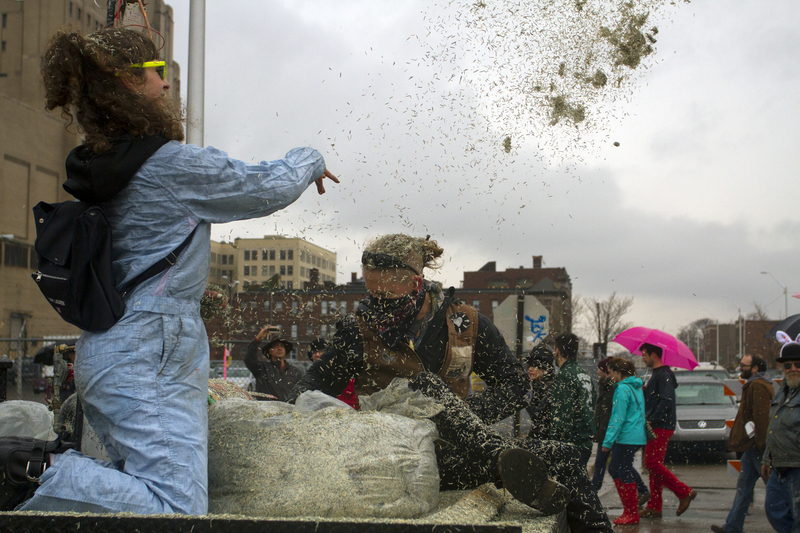 Thousands of costumed revelers turned out for the annual Marche du Nain Rouge in Detroit’s Cass Corridor on Sunday afternoon. 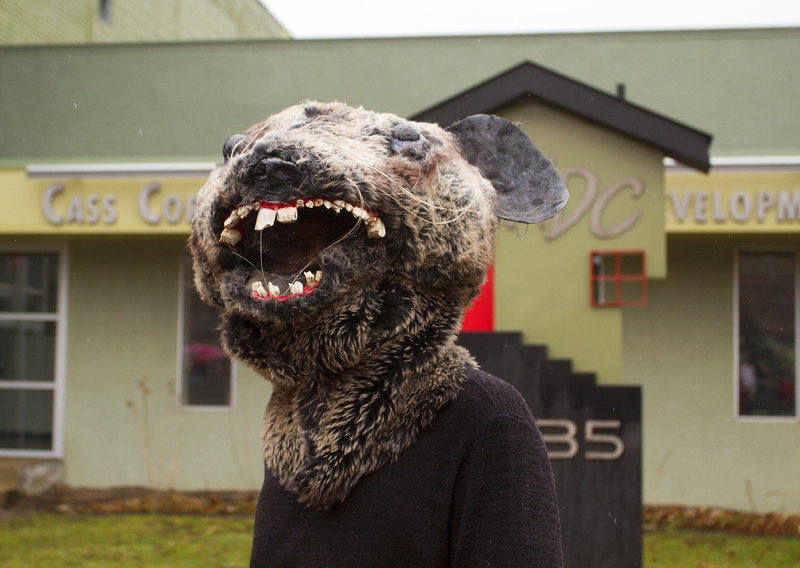 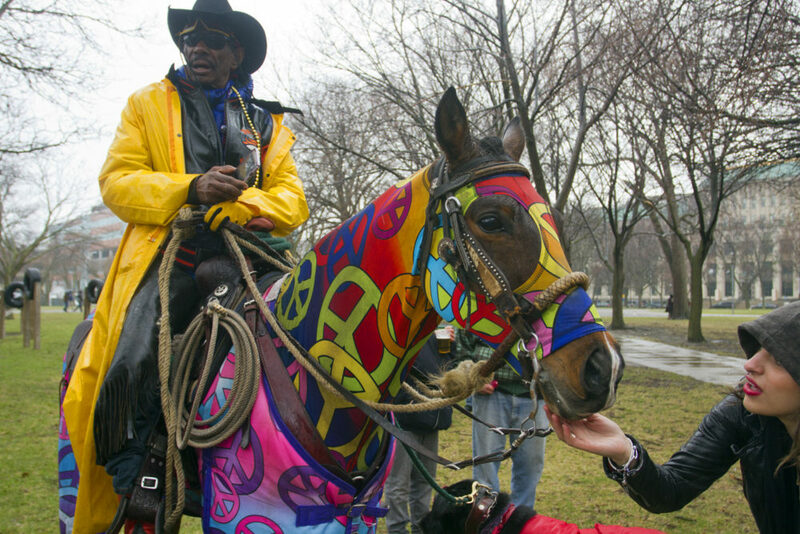 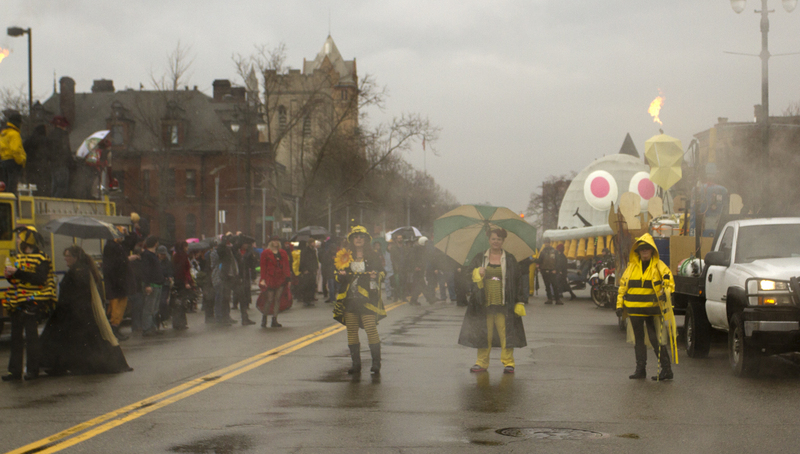 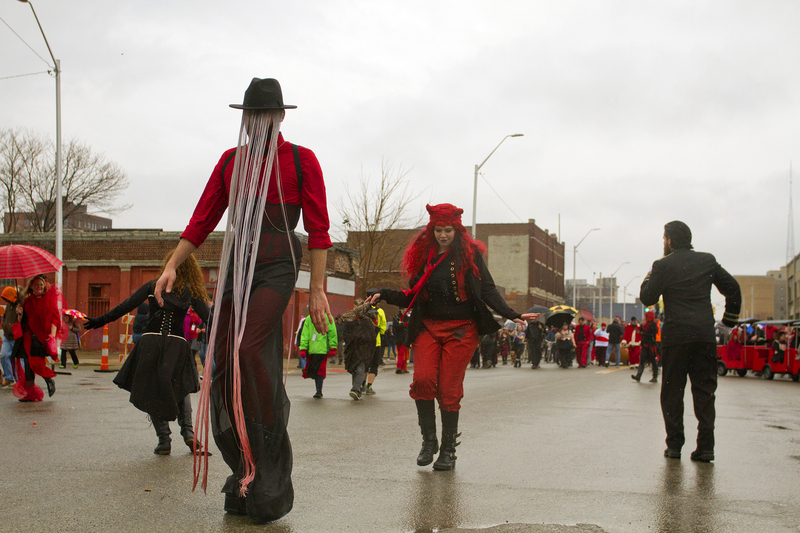 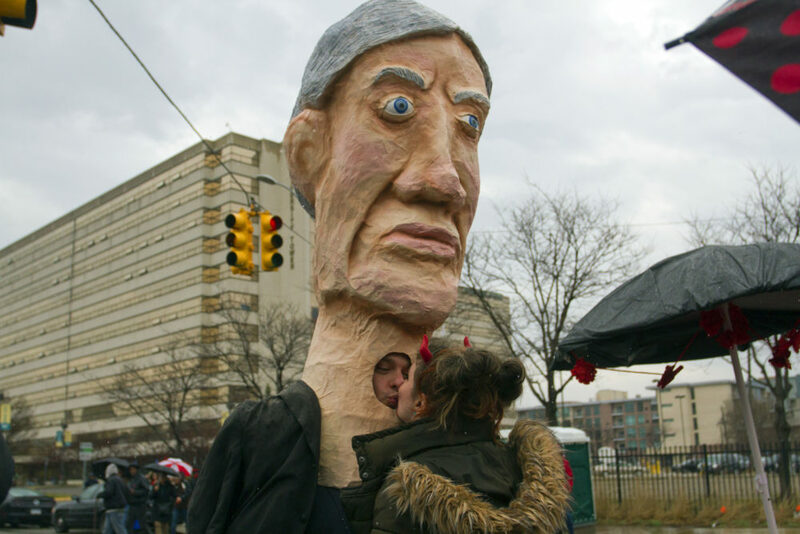 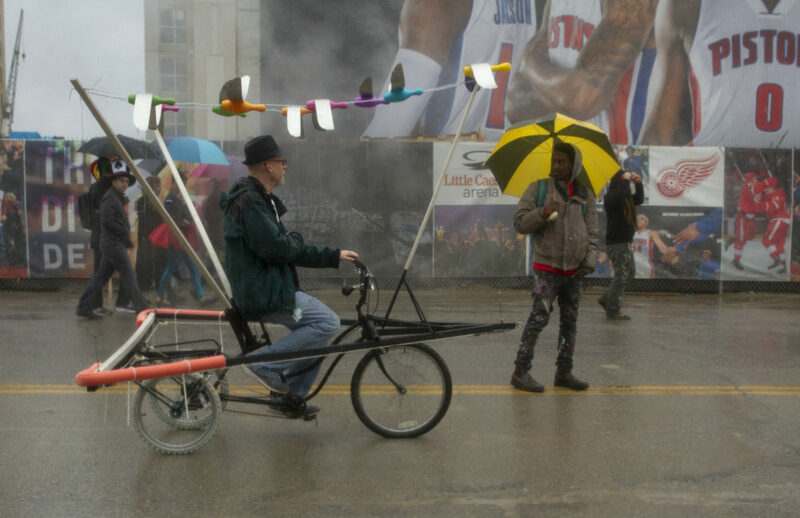 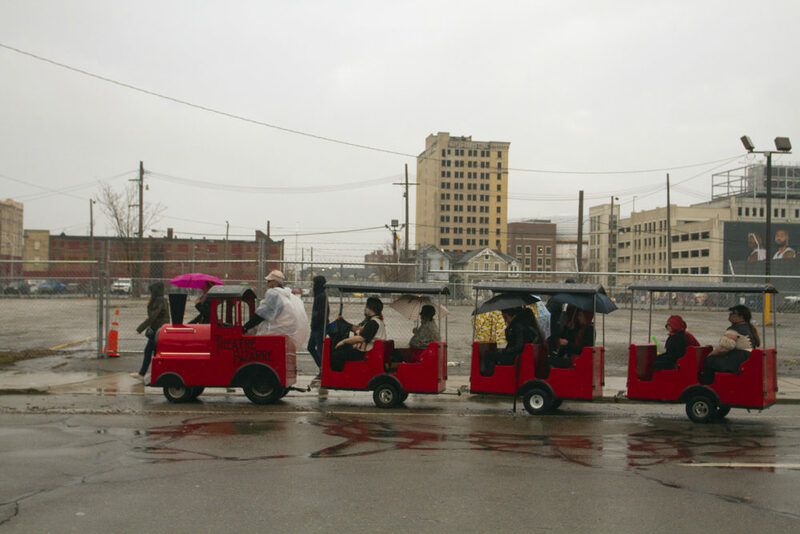 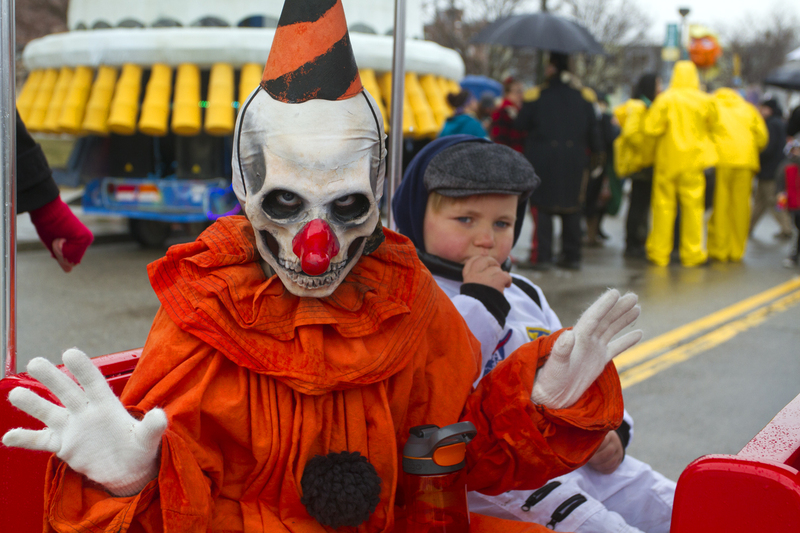 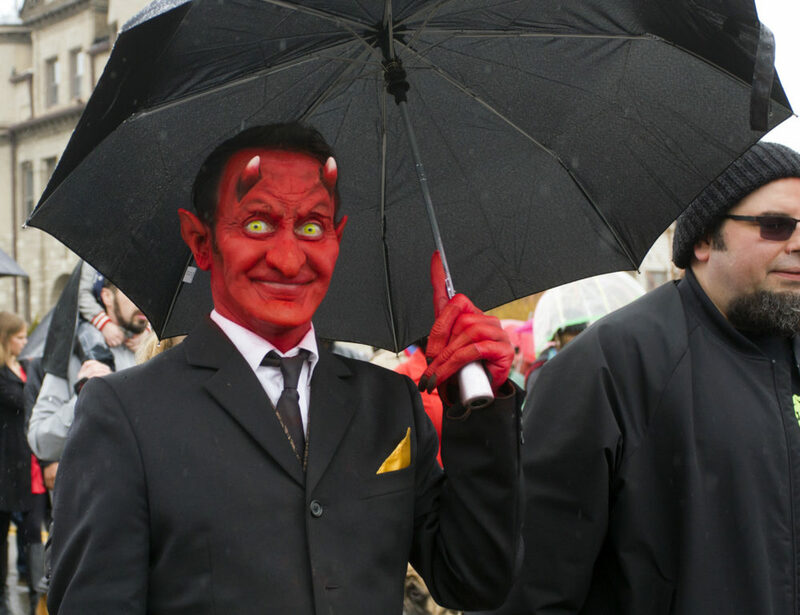 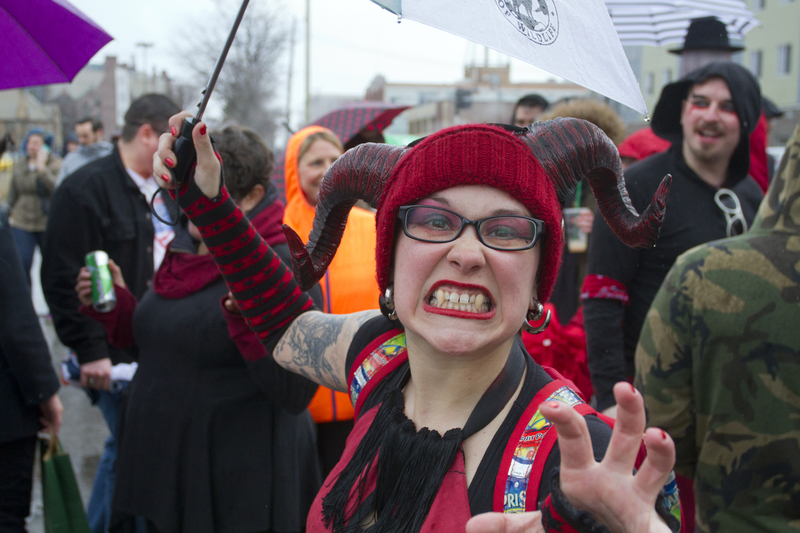 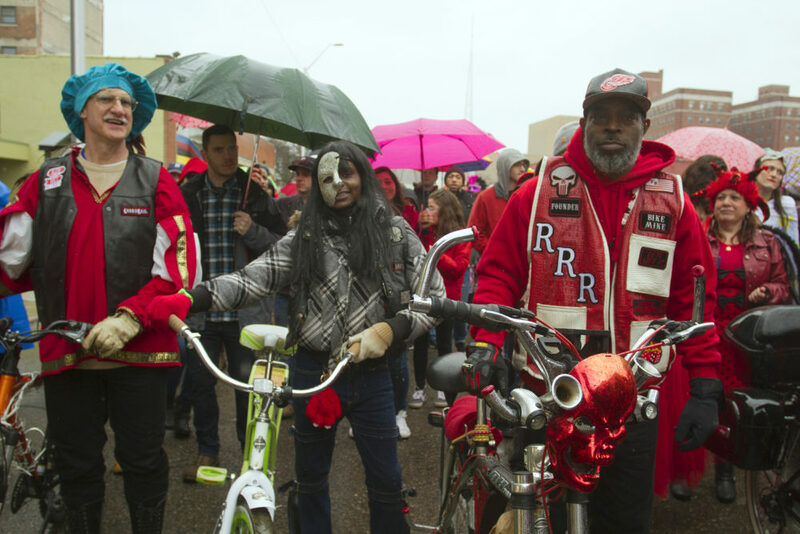 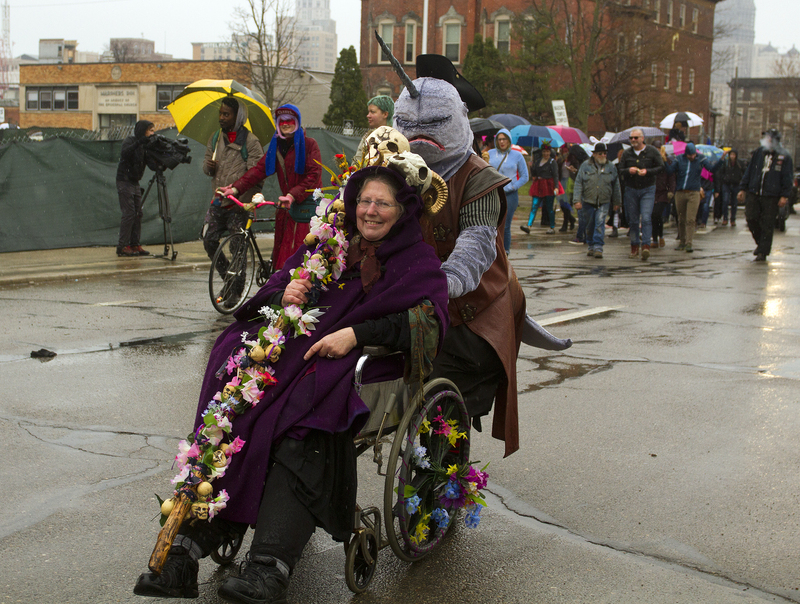 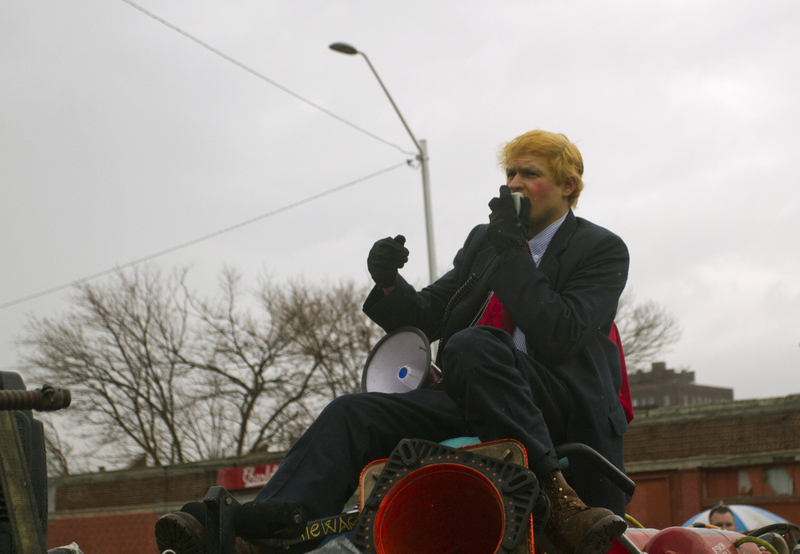 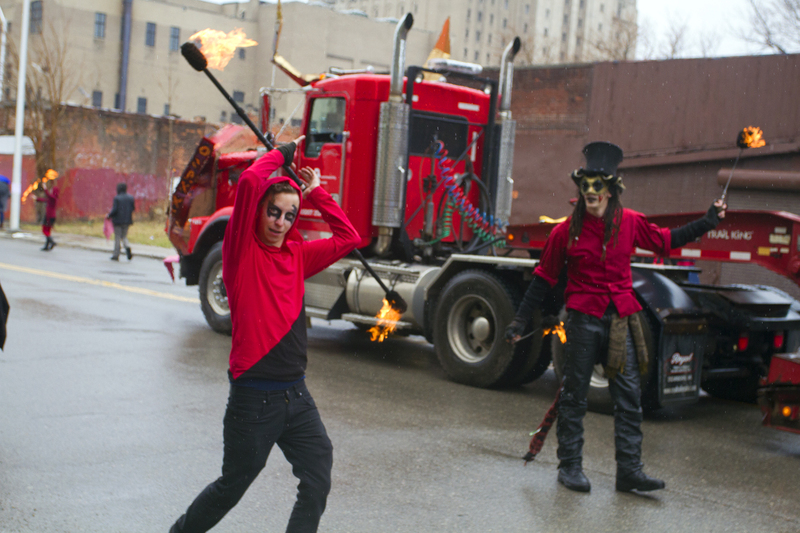 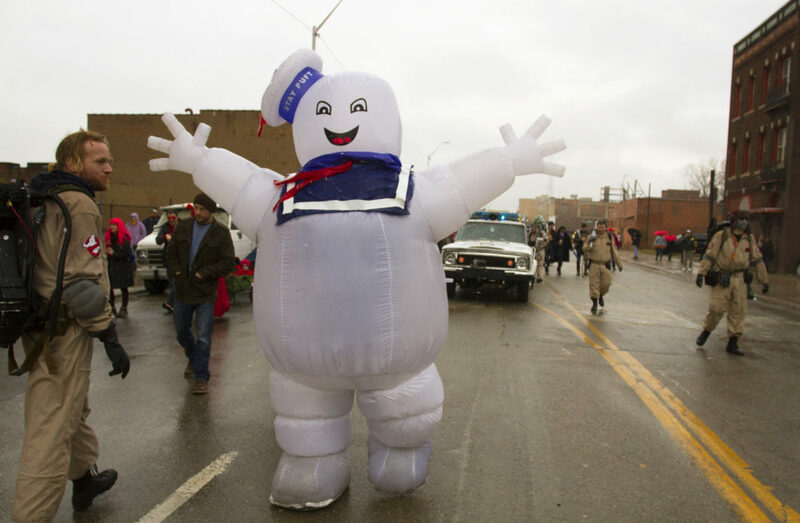 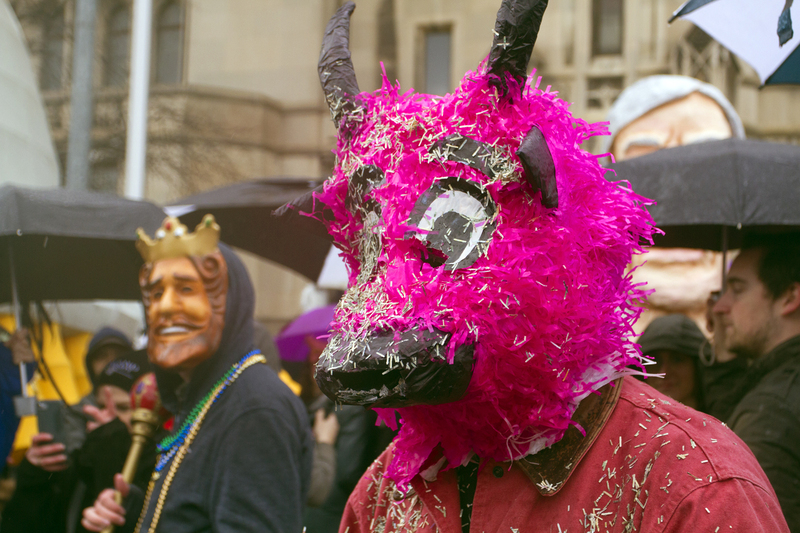 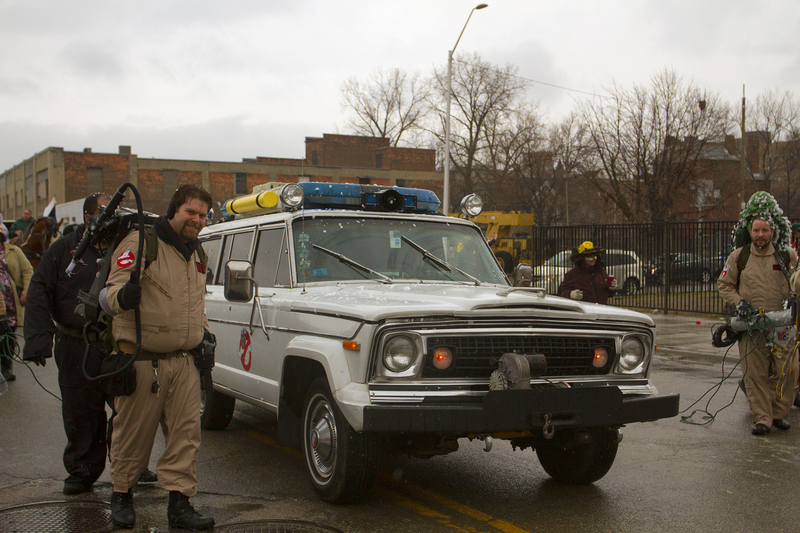 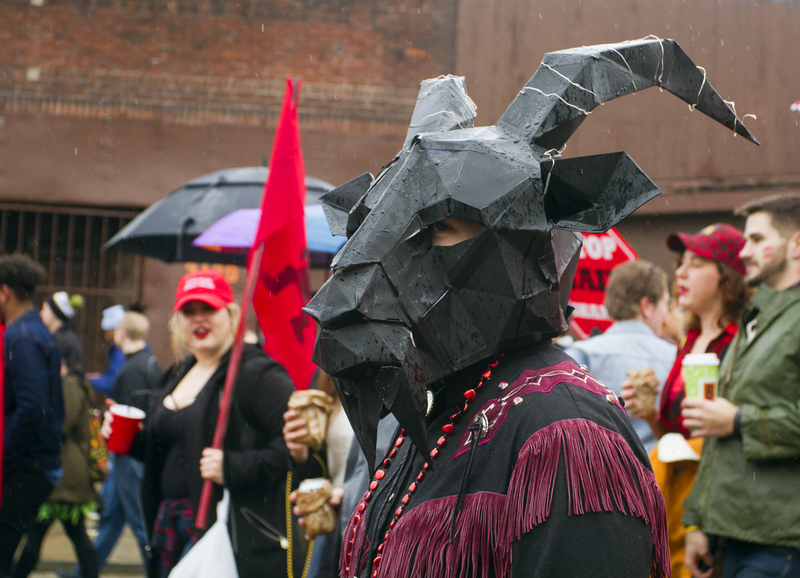 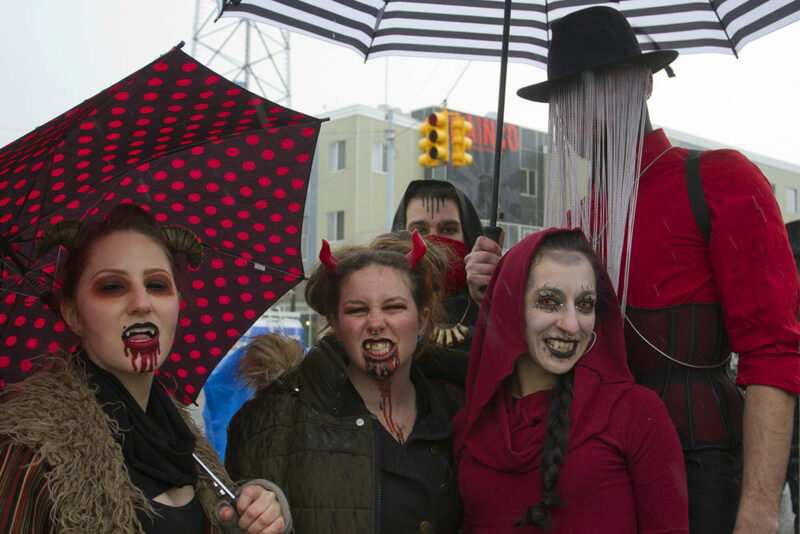 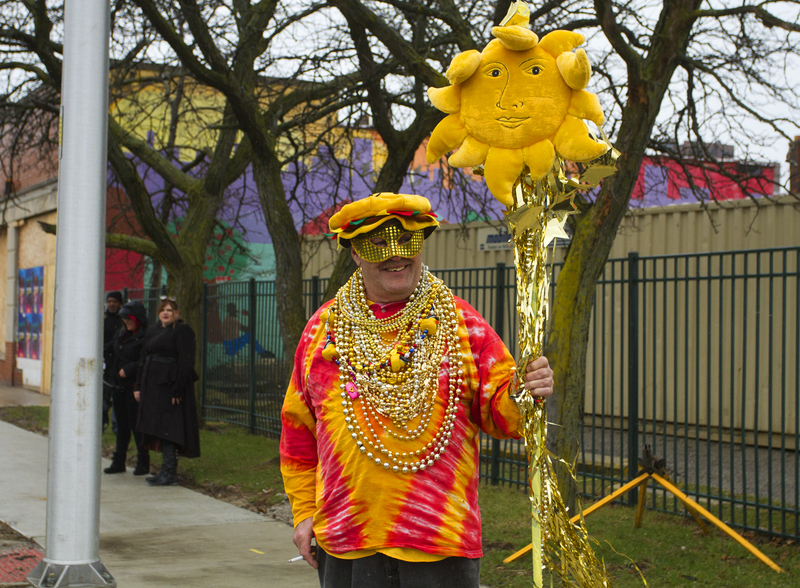 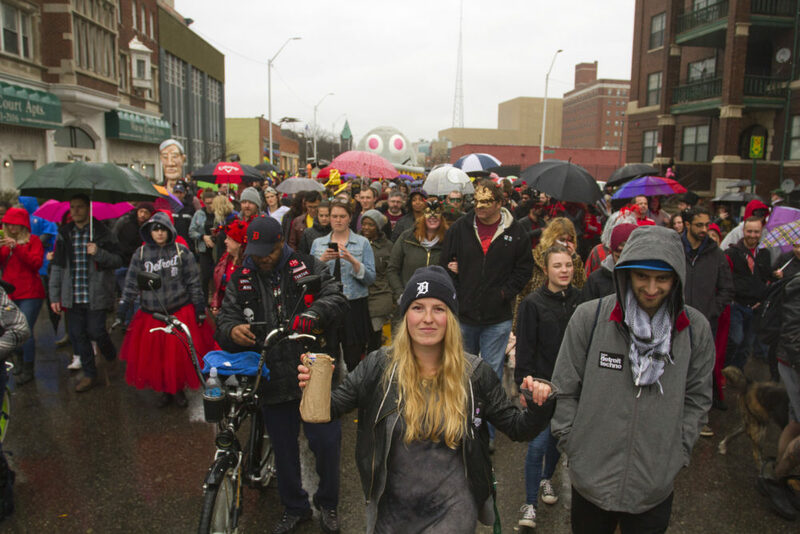 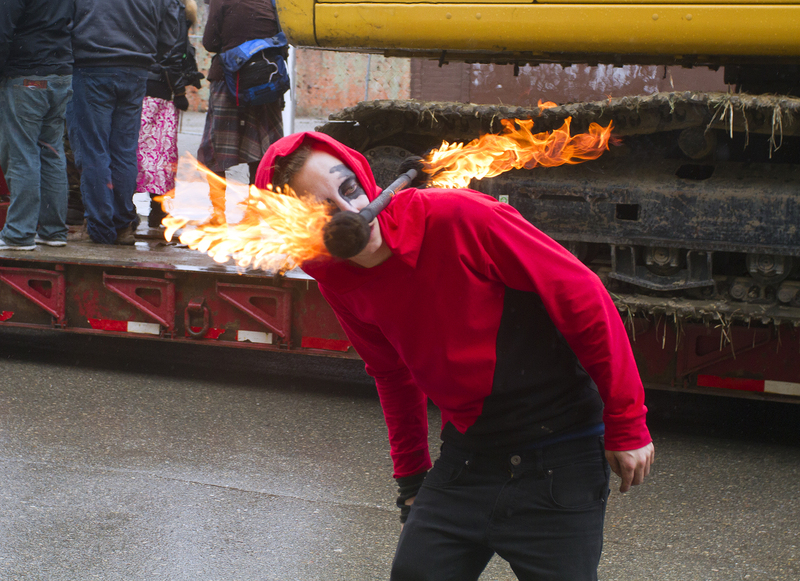 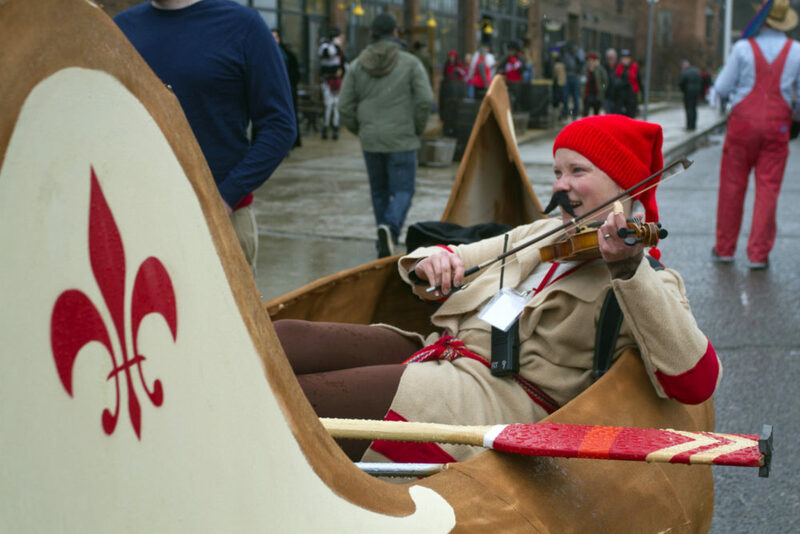 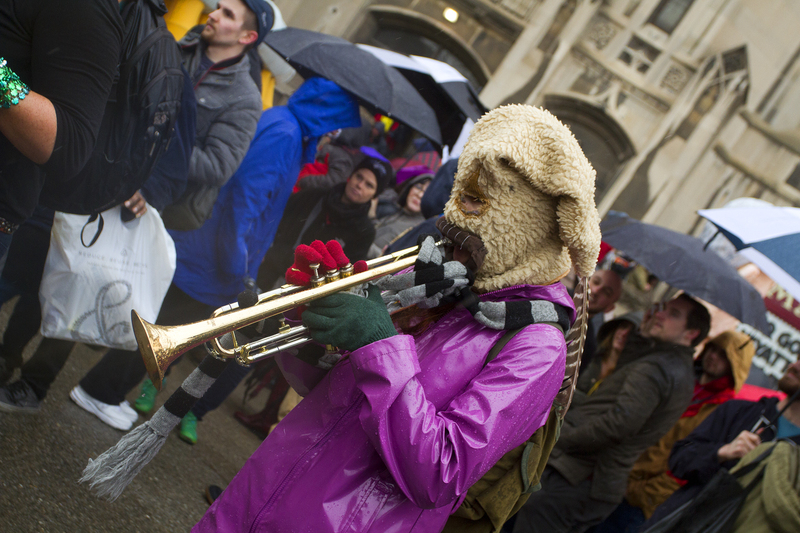 As they do every year, the marchers chased away Nain Rouge, a mythological red creature bent on destroying Detroit. 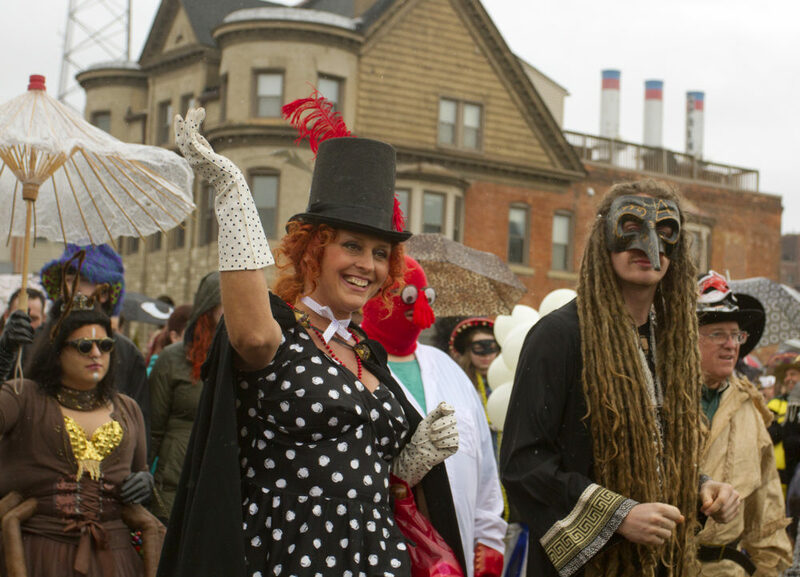 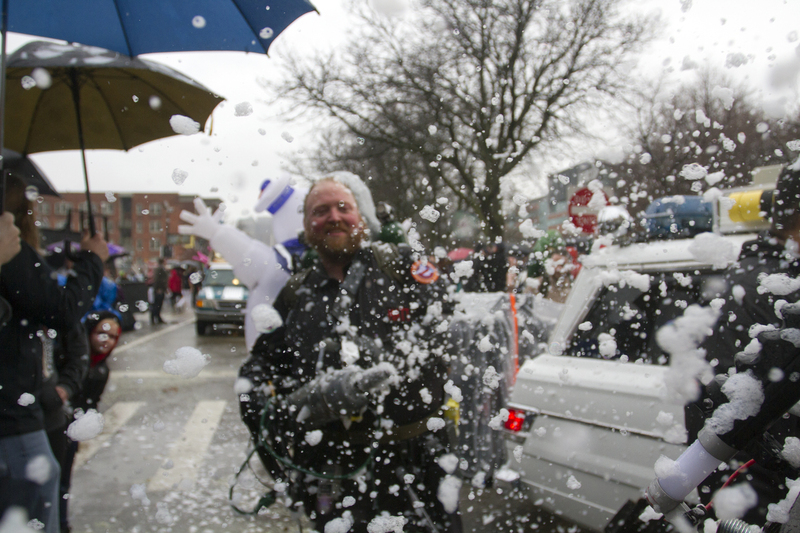 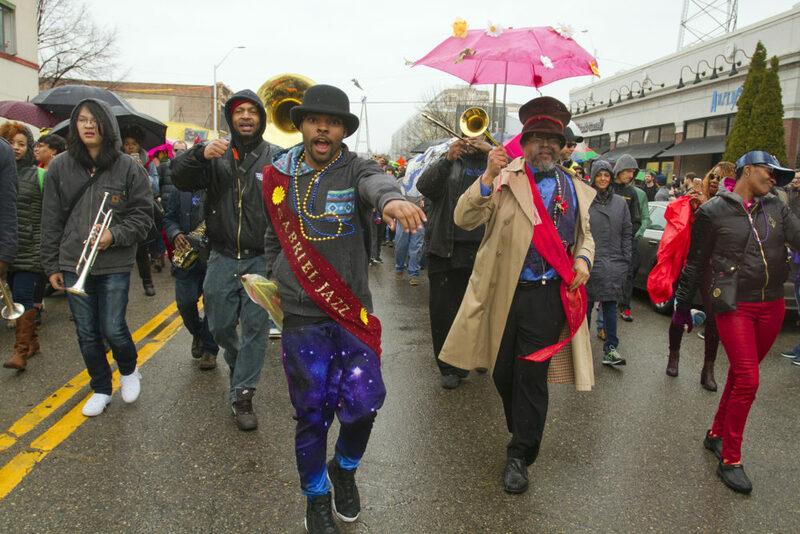 The parade on Cass Avenue started at 1 p.m. at the intersection of Canfield and proceeded to the Masonic Temple. 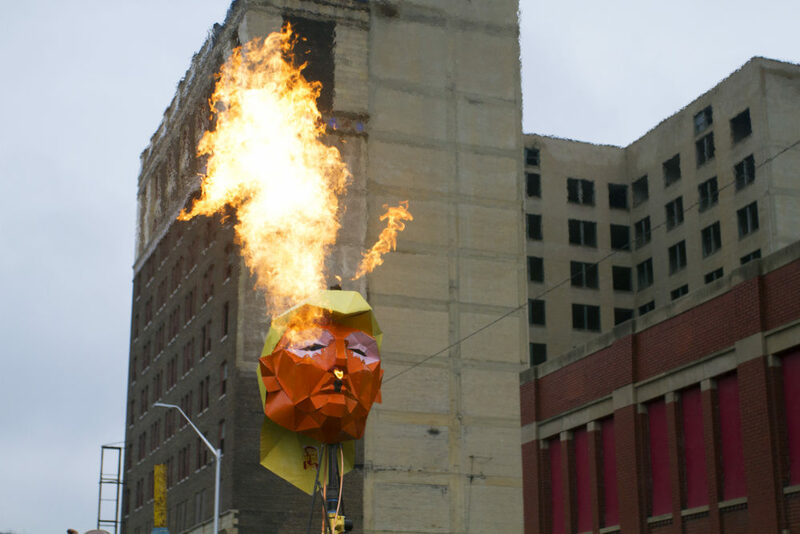 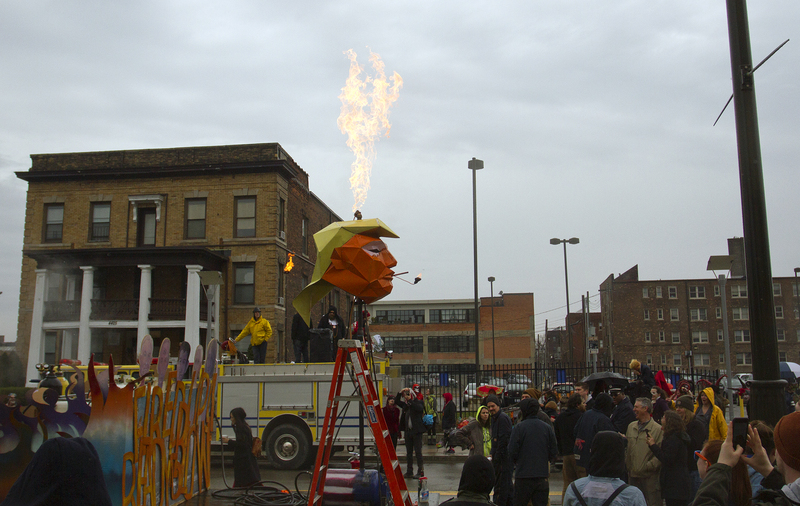 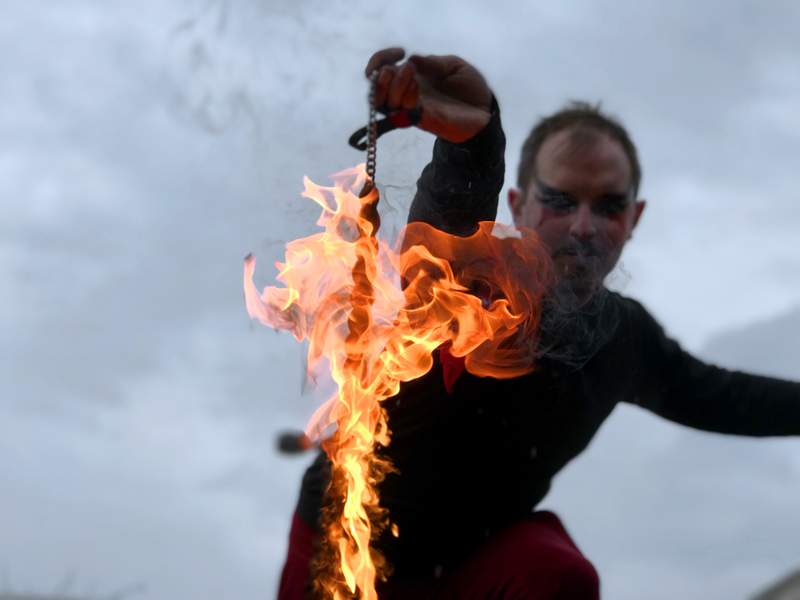 The growing event included fire dancers, the Ghostbusters, musicians and a head of Donald Trump that spewed flames. 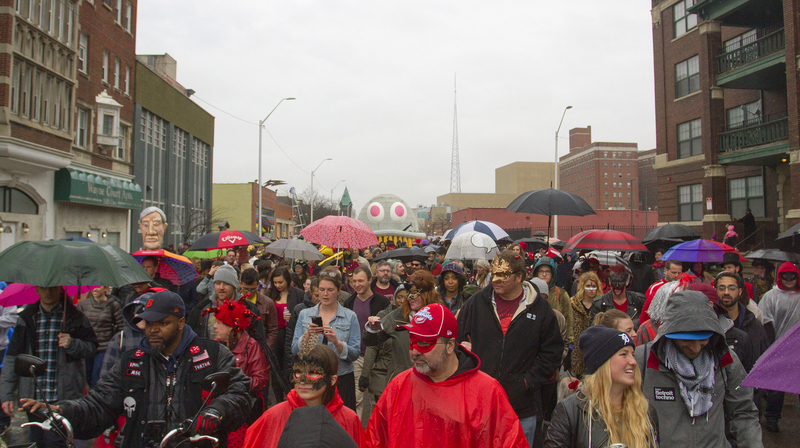 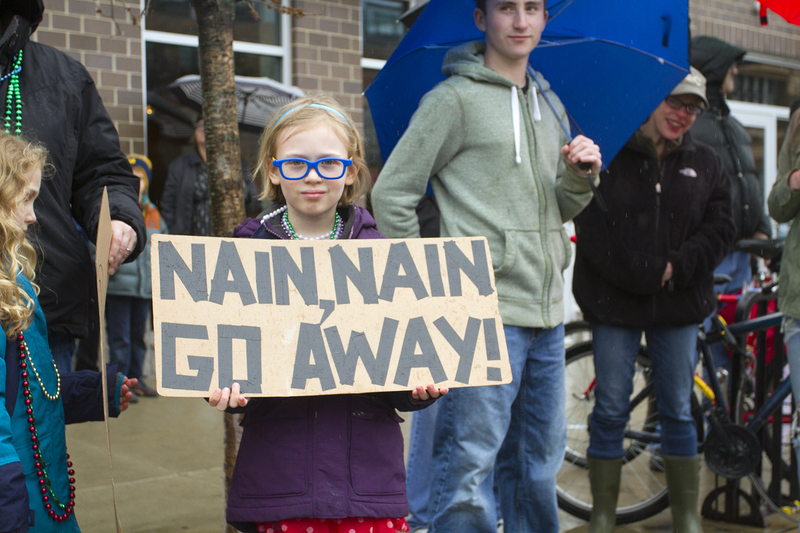 The rain didn’t appear to dampen spirits.